Groom Lifts Bride’s Veil & Has Cutest Freak-Out When He Sees How Beautiful She Looks. 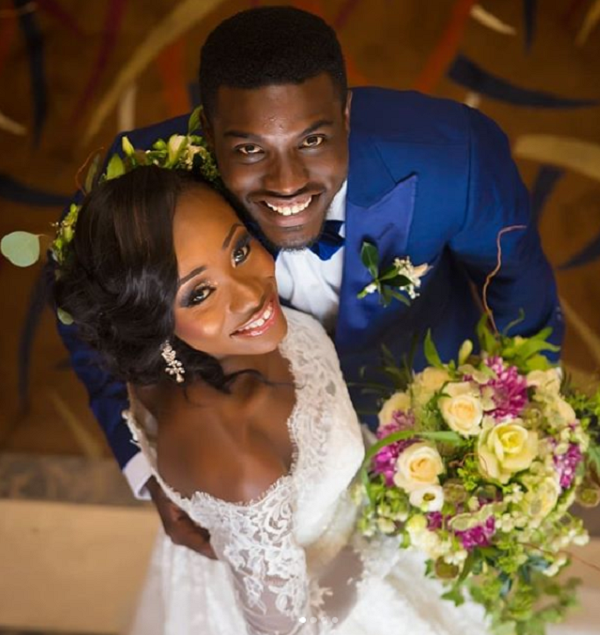 During his 2017 wedding ceremony to the love of his life, Damilola Ajayi, Seun’s over-the-top personality was on full display. 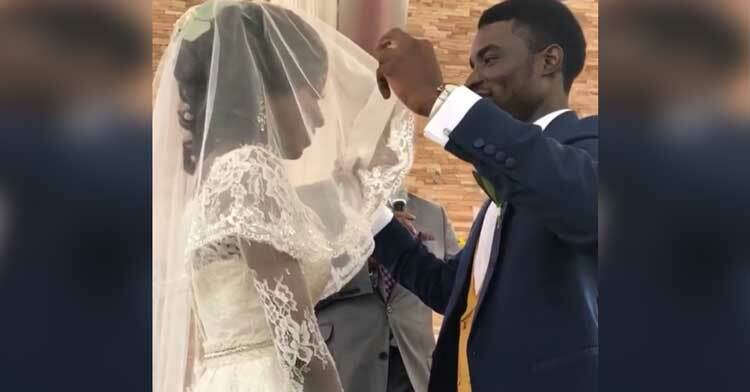 The Nigerian voice-over actor says that the pastor told him not to hold back when he lifted the veil to see his bride. Being the flashy kind of guy that he is, he took those words to heart. 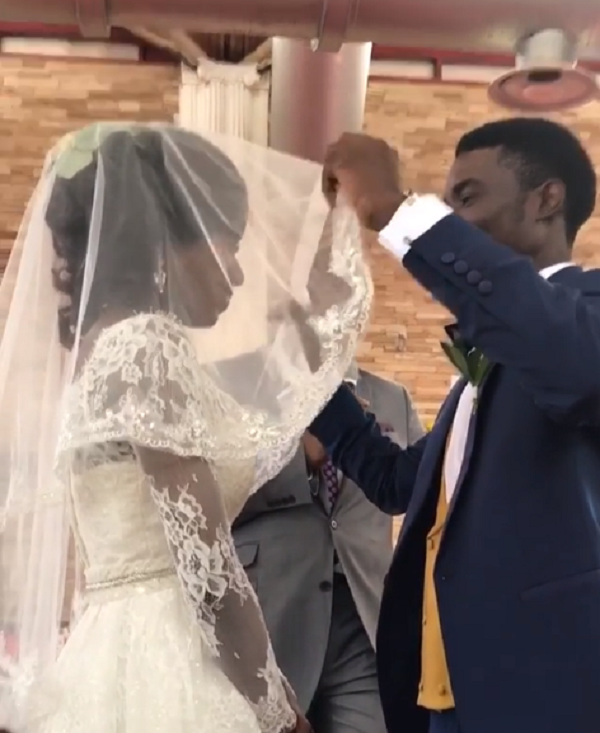 In a video clip shared by Seun’s sister, we see the moment when Seun lifts Dami’s veil and gets a look at his gorgeous wife for the first time since they couple said “I do.” His reaction is both hilarious and adorable! Doing a little fist pump and breaking into a huge grin, Seun spins around in a full circle in the most adorable happy dance we’ve seen since Snoopy and Woodstock danced on top of the dog house. 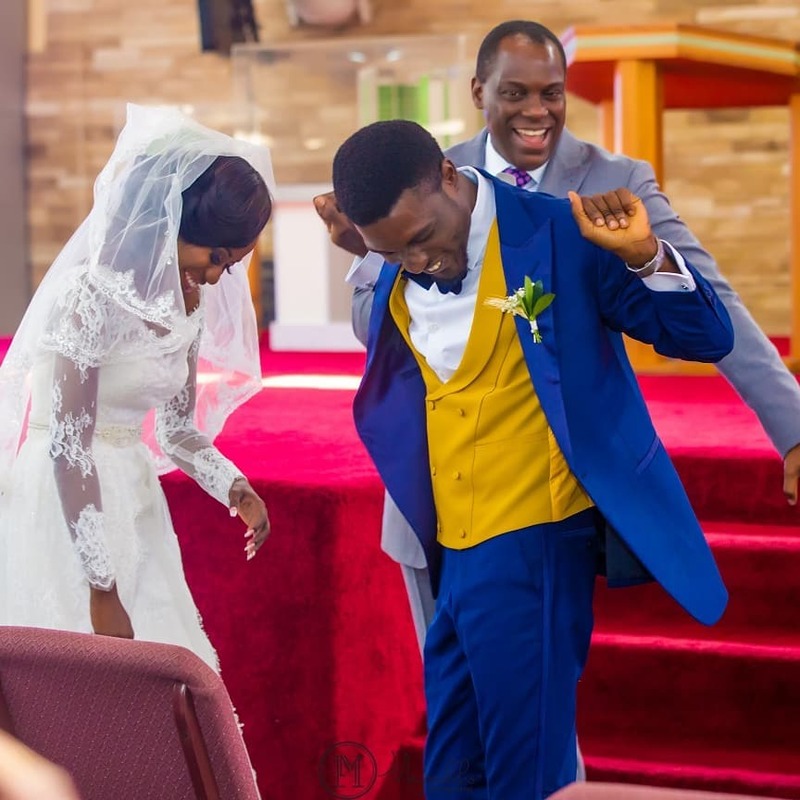 The crowd lets out a huge laugh and whoops it up as Seun continues to show his gratitude and amazement at how lovely Dami looks. 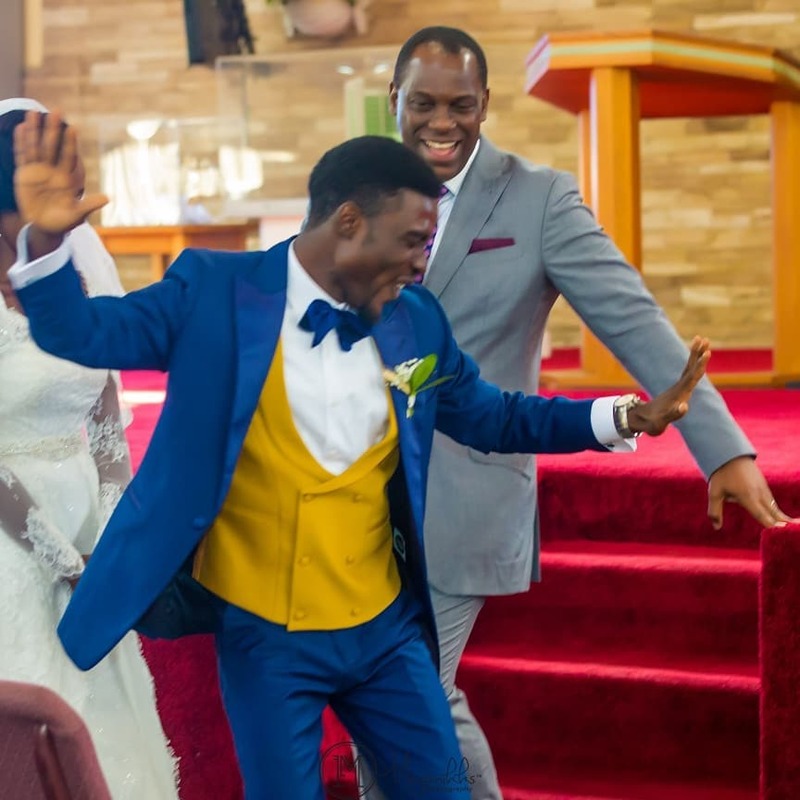 The pastor seems surprised but delighted by the groom’s response, and we can’t help but smile as we watch Seun’s moves. Not only that, but the couple is now expecting their first baby. Let’s hope their child is just as ‘extra’ as Seun! How fabulous is this? We love a man who’s not afraid to show how he really feels! 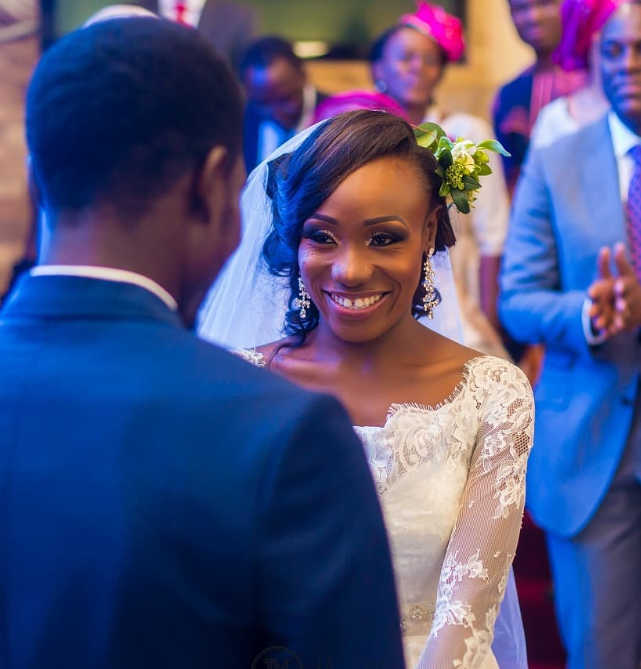 Watch Seun’s adorable moment at the altar in the video below, and don’t forget to share.